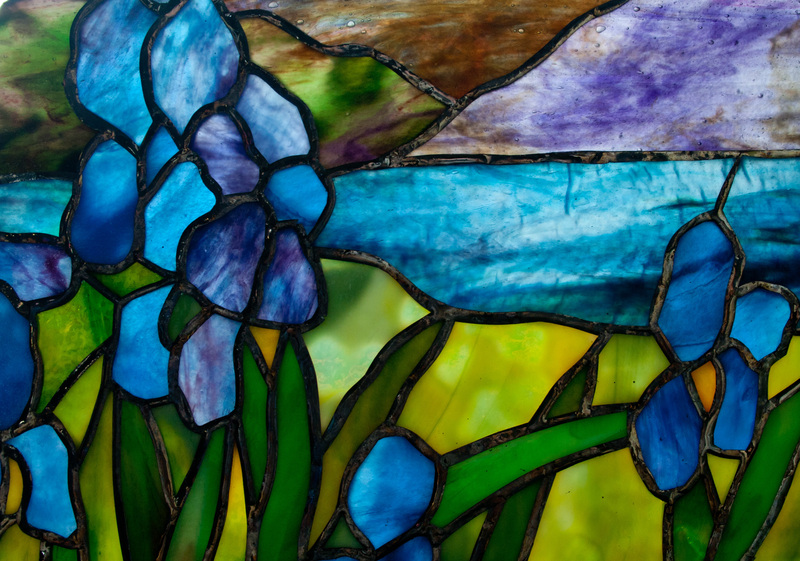 This is a close up of the top of the panel. 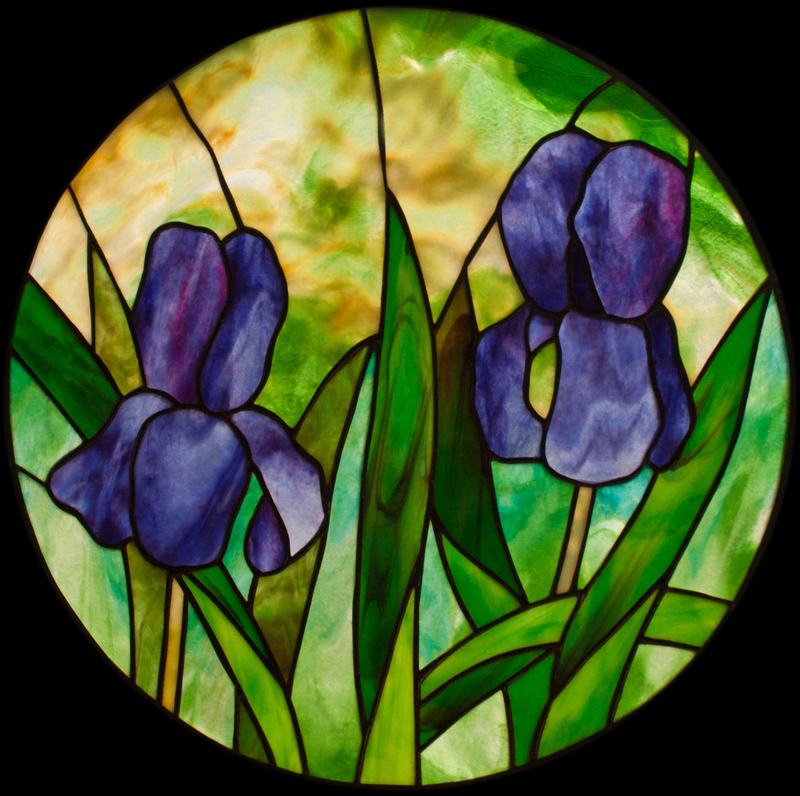 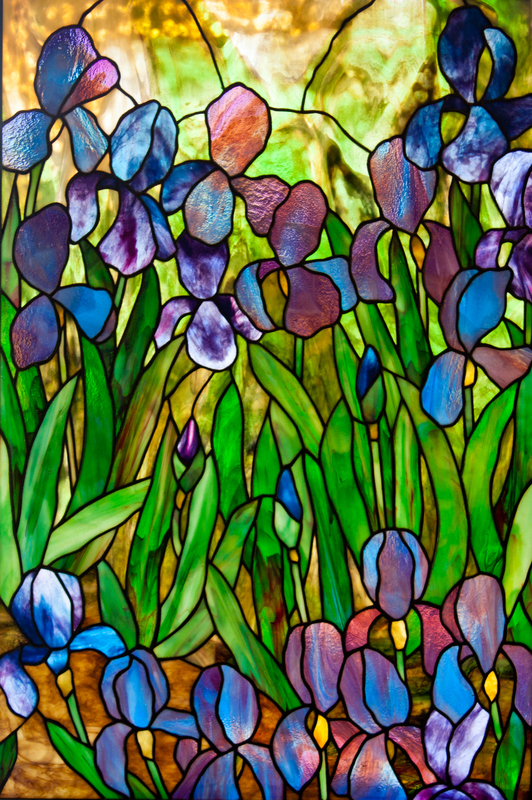 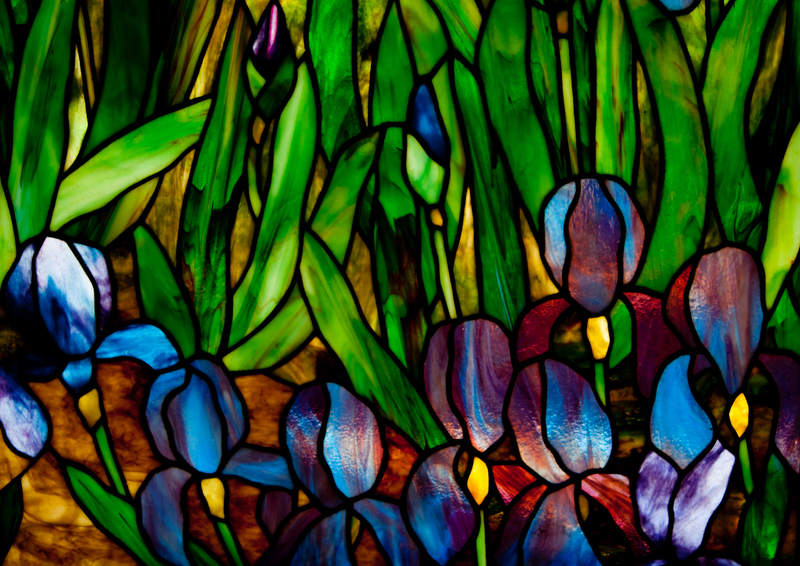 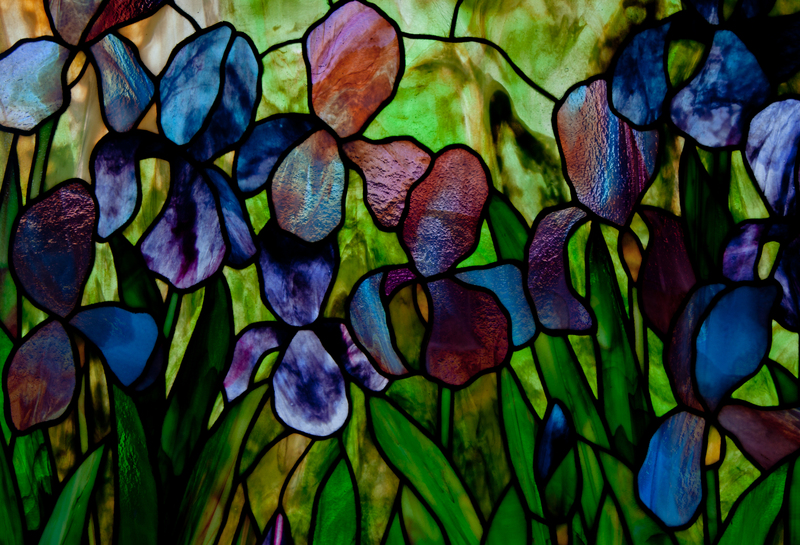 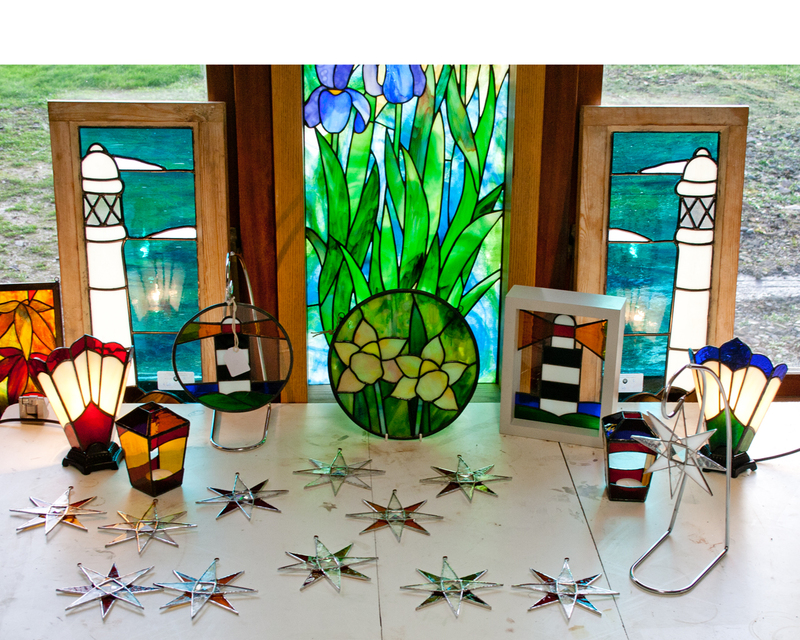 This is the full size panel ” Irises at Slade ” made with Uroboros Art Glass codes : 60 – 70, 60 – 543, 65 – 17, 65 – 145 . 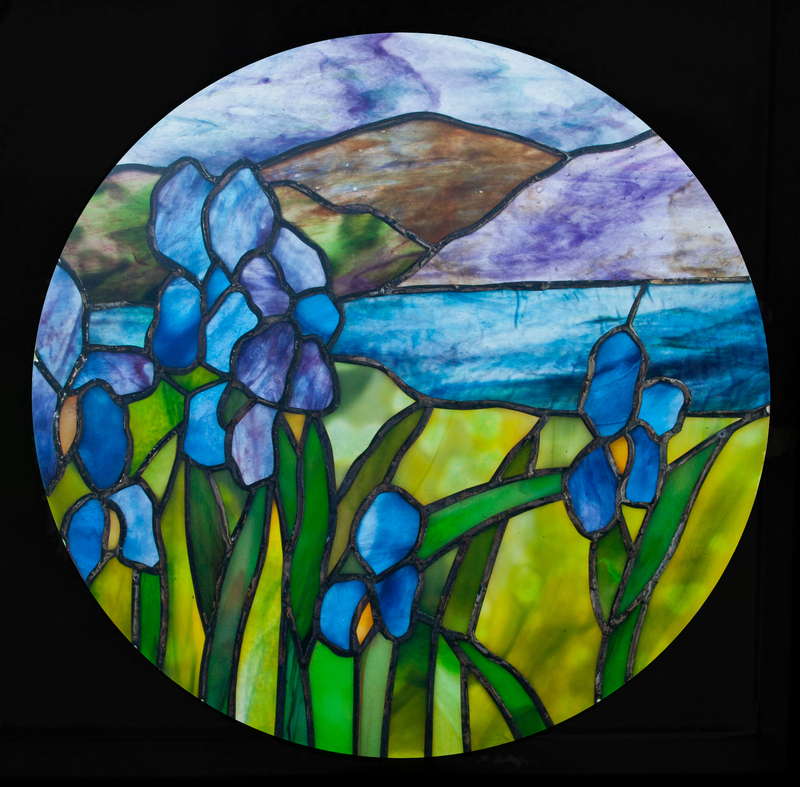 I took my inspiration for this panel from ” Van Gogh’s ” famous painting, trying to capture the colour and energy in my design.